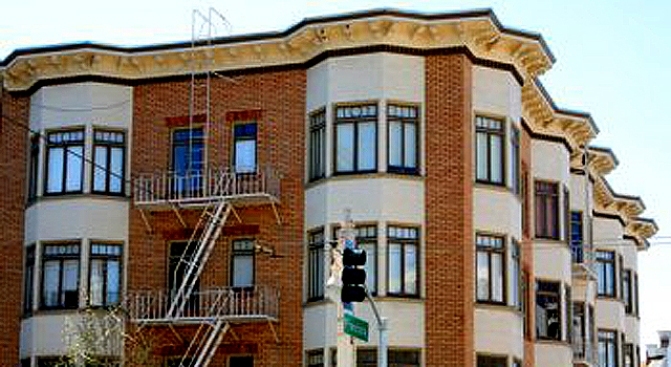 CitiApartments in San Francisco is facing foreclosure on several of its properties. Lembi Group aka CitiApartments might get 23 of its properties foreclosed on, following their "return" of 51 apartment buildings back in January to lender UBS. According to court documents sifted through by the SF Business Times, "the Lembi subsidiary Trophy Properties has been in default on payments since Feb. 10 on two loans, one for $116.1 million and one for $5.2 million. Interest accrued and outstanding from Jan. 9 to March 2 amounted to $1.8 million, and interest on the unpaid balance is accruing at a rate of $50,600 a day," Not pretty... SocketSite has a list of the 23 properties.